Where cosmetic surgery can be performed in and around the eye. As well as squint surgeries and ptosis aso lacrimal blockage system. Provides state of the are services to manage eyelid problems, orbital diseases and lacrimal disorders. This includes reconstructive surgery after removal of the eyelid and orbital tumors. Also, esthetic surgery is well covered including upper and lower eyelid plastacy to correct redundant skin and boggy eyelids. 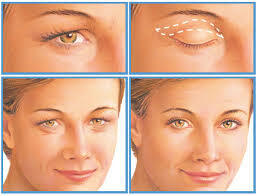 Botox injection is well carried as an out patient treatment for wrinkles in the forehead, front area.